The Flowerbomb Kush is the winner of the 2012 High Times Cannabis Cup with the ?Green House Coffeeshop. It is a very smelly, very tasty kush. 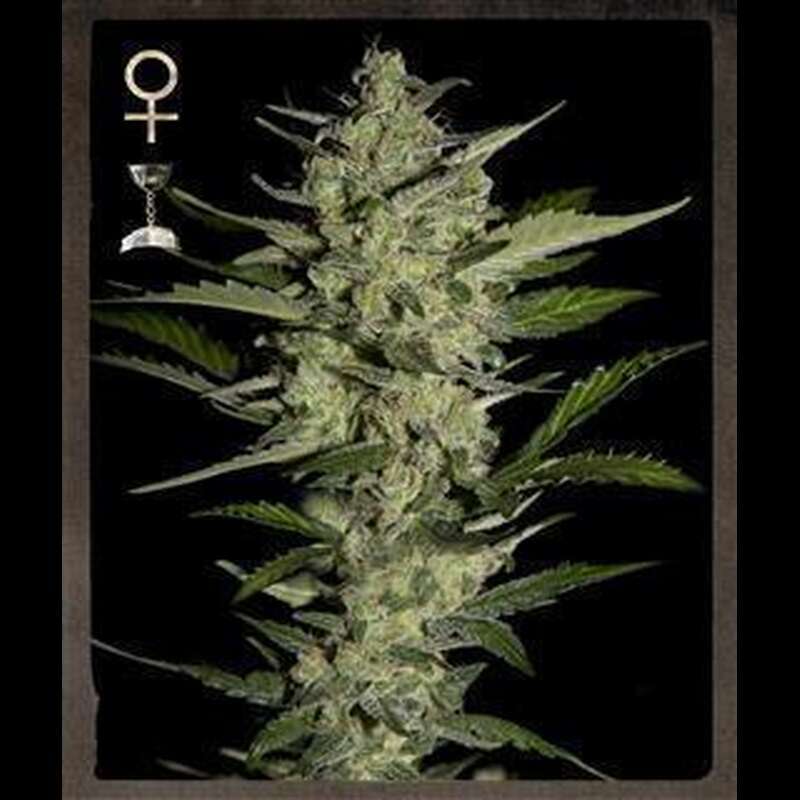 The Flowerbomb Kush grows stretchier than most kushes, with long branches that compete ?with the main cola. The leaves are thick, overlapping, and very dark green, with black hues. ? The buds are irregular in shape, with extra-large calyxes forming towers and prone to foxtail. ?The buds get very compact, and extremely dense. The resin is extremely thick, ?and extends to most of the leaves once the flowering is reaching the end. The Flowerbomb Kush is not the heaviest producer, but it gives a unique quality. The first flavour is earthy, mossy, very much like an OG kush, but immediately after the explosion of fruits invades the palate. And it ends with a spicier side, almost edgy. The effect is very strong, complex, with a fast ?hitting body effect and a more creeper cerebral side. A truly complex, inspiring experience. ? ?A true Champion.